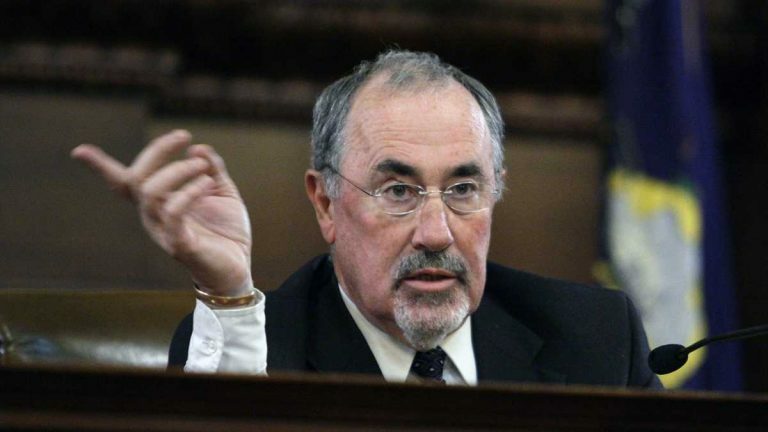 The chief counsel for the Pennsylvania Judicial Conduct Board is stepping aside from an investigation into a Supreme Court justice’s raunchy emails after a newspaper reported he played a lead role in the justice’s 2011 re-election campaign. Board lawyer Bob Graci made the decision Wednesday after the Philadelphia Daily News reported on his activities on behalf of Justice Michael Eakin four years ago. Judicial Conduct Board member Kevin Brobson said Graci acted out of an abundance of caution and a desire to avoid the appearance of impropriety. Two other justices are questioning why Graci didn’t disclose his campaign ties to the justice. Justice Corry Stevens said when he was interviewed by Graci as part of the investigation, Graci did not mention the ties. Attorney General Kathleen Kane said Graci had a clear conflict of interest.